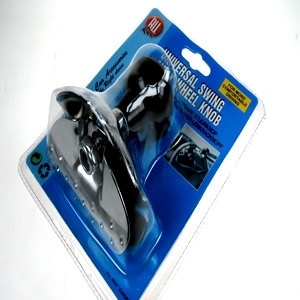 universal steering aid . black plastic knob with steel construction . designed to clamp to you steering wheel.